IN THE LATE 1800s, it took 10 days and $40 (today’s $800) to choo-choo from New York to San Francisco on the Transcontinental Express, the nation’s great connector. 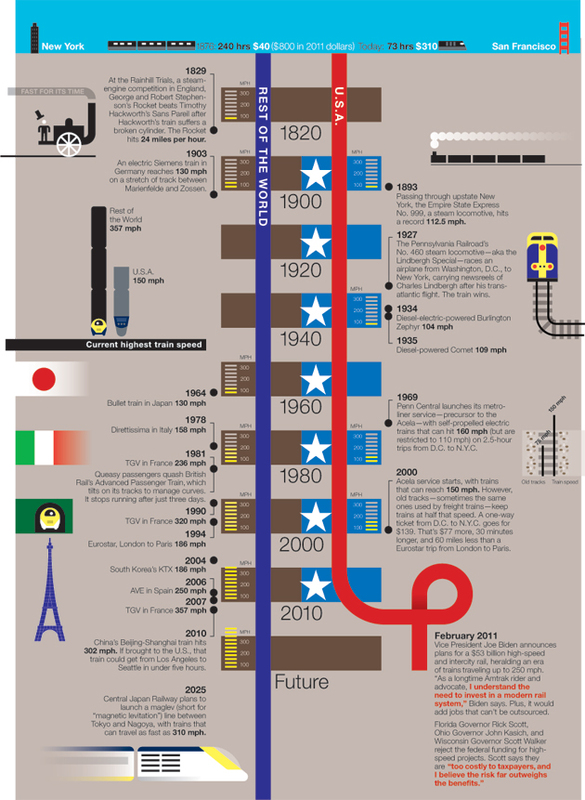 Fast-forward 120 years or so and not much has changed: American trains are slow, pricey, and lagging behind other countries. Joe “Amtrak” Biden is pushing to change that, with a proposed $53 billion in funding to bring high-speed rail to the masses. Here, a sad little race between the U.S. and everyone else.